Si usted esta en el proceso de poner su baldosa, aquí tenemos unos consejos que pueden ayudar evitar errores comunes. Como parte de mi servicio, yo estoy dispuesto a salir y encontrarme con la persona que está instalando su baldosa para asegurarme que su proyecto salga bien. Por favor tome un tiempo para ver las imágenes abajo para que vea la mejor manera de hacer su baño. Para más información, siéntase libre de contactarnos al número (678) 477-1389, estamos más que disponibles para ayudarlos en lo que podamos. 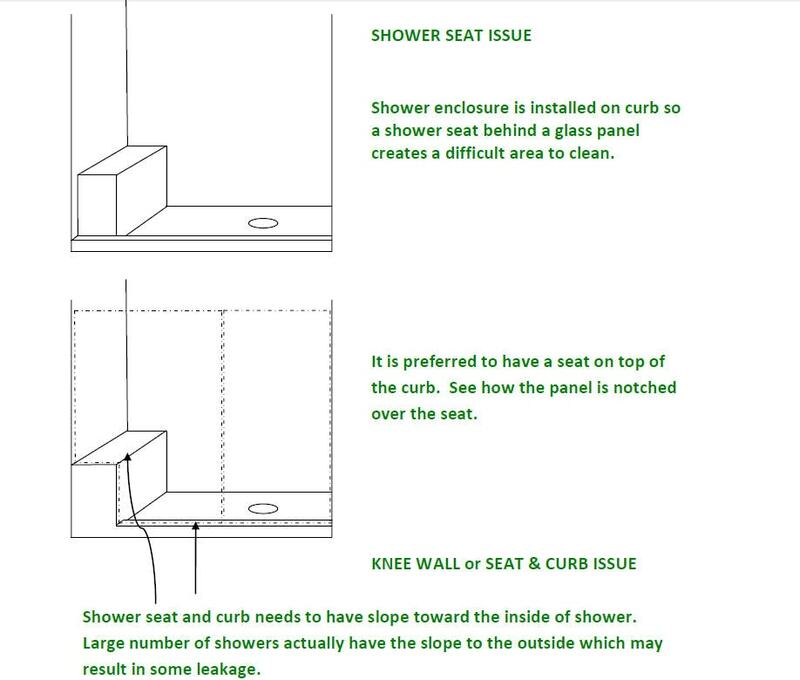 El cliente tenía una ducha blanca sólida y aburrida y pude hacer algunos cambios económicos cambiando las baldosas en el piso y luego agregué las piezas de acento hacia la parte superior para unir todo. Una superficie sólida es una gran manera de evitar problemas de lechada y también puede ofrecer posibilidades de diseño. 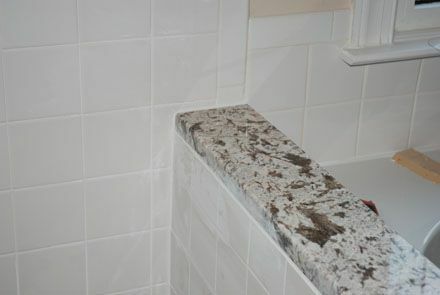 This is an example of a bad tile job that relates to one of my "don'ts". 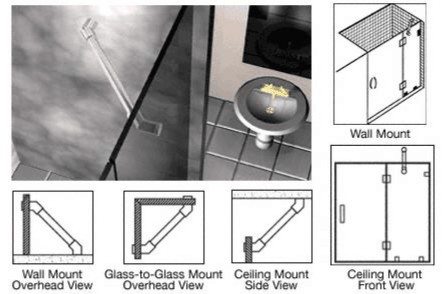 The glass panel can only be set close to the front of the seat, creating a tight pocket, and will present a cleaning issue. This is a good example of the edge of the wall not being square with the curb. This adds additional expense. This is another example of a wall not being perpendicular or square with the curb, requiring custom hinge pins made for this particular angle. 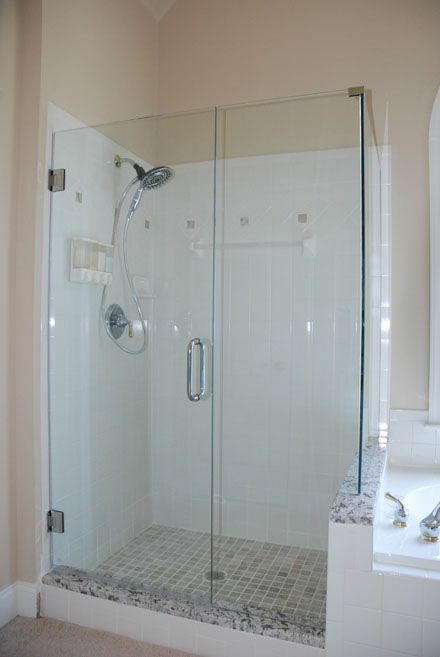 Thin set needs to be consistent and solid behind entire back side of each tile especially where shower door hinges or clamps would be mounted. 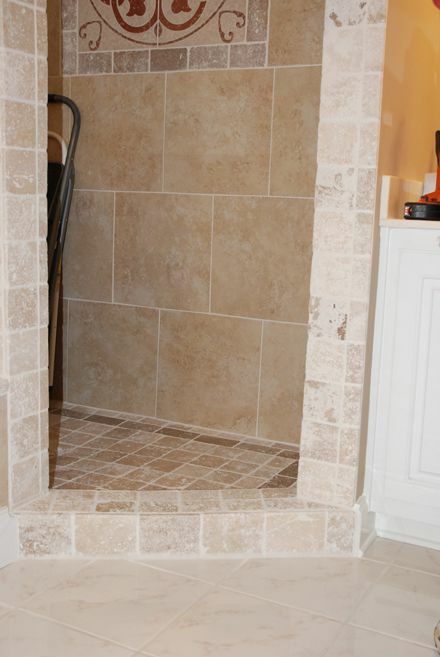 Tiles are likely to crack when drilling into tiles where there are air pockets behind the tile. 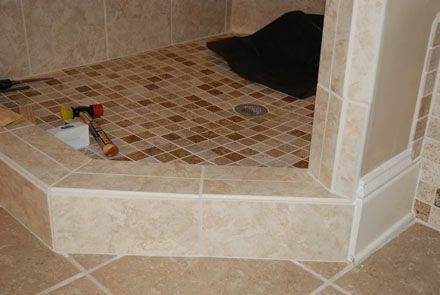 Tiles could also break when screws are being tightened because of pressure being placed on the hole. This is a good example of three different issues with this preparation. First issue is the wood stud on the left is still rotten. Microbes will continue to deteriorate the wood over time. All bad wood needs to be replaced. 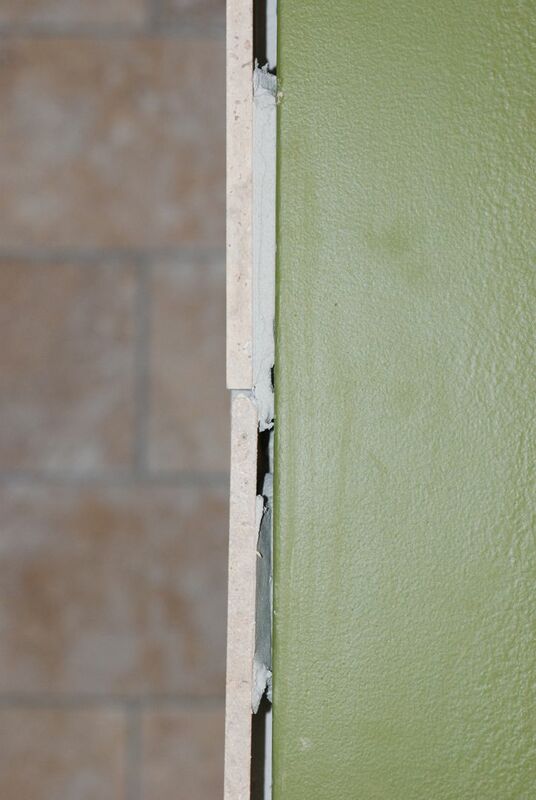 Second issue is the cut vinyl corners on the curb; curb is no longer water tight because the vinyl pan material was cut exposing the stud and underpng materials. The correct method is to fold up the vinyl in the corner so no water can leak through. 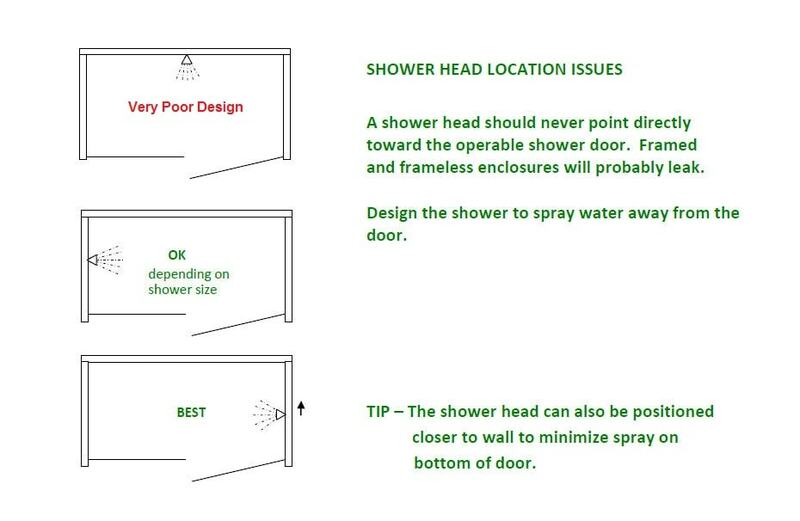 This is very problematic if a framed shower is installed because the metal channel on bottom holds water inside and can keep this corner constantly wet leaching through the corner grout or sipcone seal. 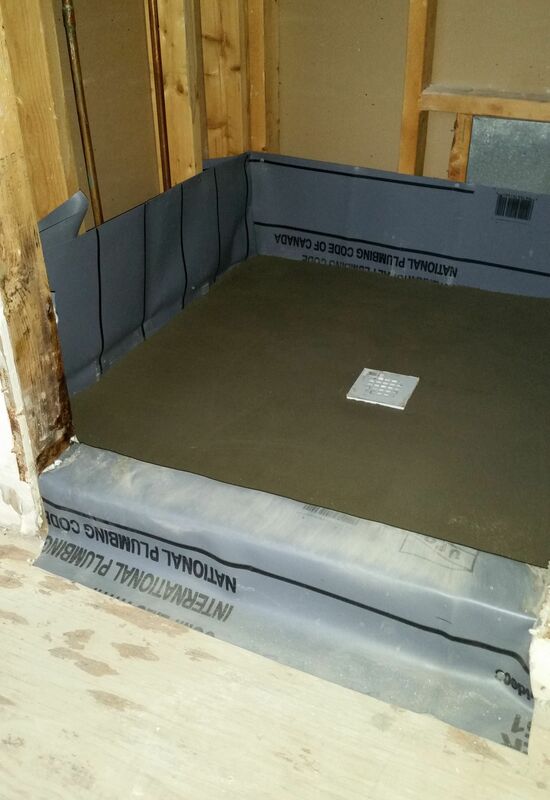 Third, the pan is laid flat on the floor. The mud bed is expected to get wet so it will hold in the moisture if it doesn’t slope toward the drain. Code requires a pre-slope. 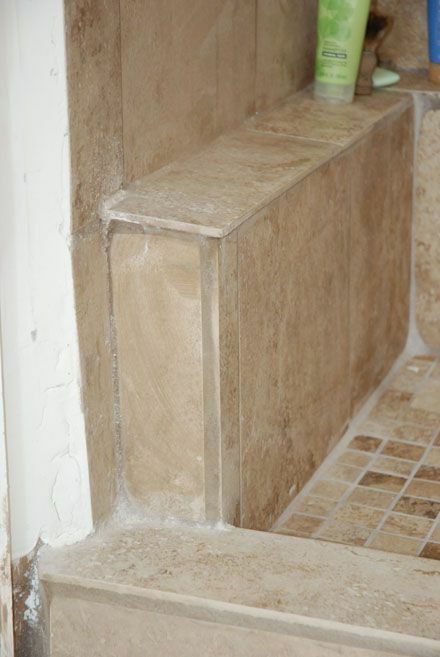 Best method is to have the mud-bed laid first sloping toward drain then apply the vinyl with another layer of mud.